The war on single-use plastic is here, and in 2019 we expect to see more consumers than ever taking up arms against this non-reusable, non-recyclable modern menace. Sitting in landfill for decades, clogging our seas (an estimated 12 million tonnes of plastic enter the ocean each year) and inflicting horrendous suffering on wildlife, single-use plastics were, in April 2018, condemned by prime minister Theresa May as a “scourge” on our planet – and much of the UK public wholeheartedly agreed. Click here for more business ideas to start in 2019. A growing awareness of the consequences of plastic has played a big part, driven by increased press coverage, social media and its shareable videos and images, and of course, the unprecedented effect that an alarming episode of BBC nature documentary Blue Planet II had on the public in December 2017. Plus, rectifying our plastic overkill just seems more achievable than other environmental causes. Fighting global warming might feel like squeezing a water pistol at a raging forest fire, but vetoing disposable water bottles for a reusable one is something we can all do. And with real-world results already yielded – if you’ve been to your local Wetherspoons recently, you’ll know that plastic straws are out and biodegradable paper straws are in – consumers feel more buoyed than ever to buy into plastic alternatives and keep the momentum going. Besides giving yourself a sense of fulfillment by doing your bit for our beleaguered environment, there’s plenty of evidence to suggest it could also mean big business. 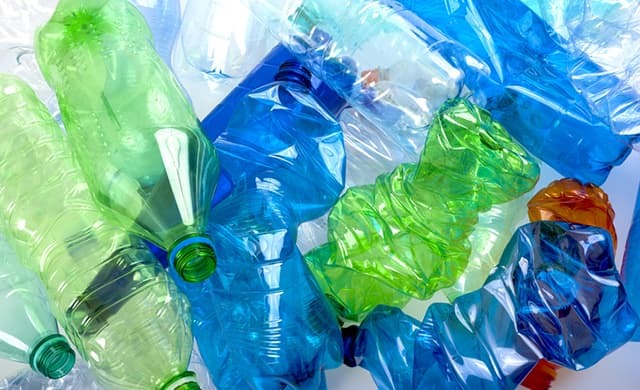 First off, market research firm Mintel has touted “rethinking plastic” as a global consumer trend for 2019 –meaning businesses that help ordinary people in reducing their plastic waste might just strike chords around the world. And the UK in particular is abuzz with anti-plastic activity – even in the highest echelons of government. Indeed, earlier this year Theresa May pledged to eliminate all the UK’s avoidable plastic waste by 2042, and in April, the government set aside a considerable £61m to tackle the issue. Amazingly, big corporates are also showing their willingness to get in on the trend: Coca-Cola, Kellogg’s, Nestle, H&M, Mars, and Unilever are just some of the business behemoths who’ve recently pledged to eliminate their plastic waste. In September 2018, a frustrated customer incited the viral #PacketInWalkers campaign, which saw a flurry of empty, non-recyclable crisps bags posted back to Walkers HQ by angry fans – their way of rejecting the company’s immortal waste (update: Walkers has now started a packet recycling scheme). So, it’s clear that consumers have developed a keen desire to minimise the plastic in their lives – but how might budding entrepreneurs capitalise on this? With plastic such a big part of modern life – it can be found in everything from teabags to glitter – there are countless opportunities to join the burgeoning fight against it. If you’re a budding product entrepreneur, you might decide to develop recyclable, reusable alternatives to single-use plastic products. For example, Bambaw sells eco-friendly, bamboo alternatives to disposable toiletries such as toothbrushes and razors. Meanwhile, Ronald Britton Ltd has innovated Bioglitter, a biodegradable glitter, while Simply Gum produces 100% natural, plastic-free chewing gum that degrades instead of becoming an unpleasant stain on the pavement. Yes, even the most unlikely of your daily staples might be ripe for disruption. In fact, in November 2018, a report from Friends of the Earth revealed that vehicle tyres and synthetic clothing – which spew out microplastic as they travel and spin in washing machines, respectively – are the leading causes of plastic pollution from UK households. As a result, solutions to these problems are hotly sought after – meaning this could be something to explore. Guppy Friend, for example, is a new washing bag that aims to catch some of the microplastic that escapes clothes during a wash.
Of course, packaging is an enormous source of plastic waste, so alternatives to plastic packaging are likely to attract excitement. As Mintel says, “the development of recyclable products and packaging that are convenient for consumers to separate will be critical”. Just take a look at Skipping Rocks Lab, the business behind Ooho. An alternative to plastic water bottles and cups, Ooho is not only biodegradable packaging, but it’s also edible packaging (if you like seaweed extract, that is). If an edible water bottle proves anything, it’s that creative and unique ideas are very much welcome. Of course, rethinking plastic might simply be an angle you decide to take on an existing business idea. If you’re already launching a retail business, for example, you could simply ensure the plastic you use – from packing materials to clothes hangers – is recyclable or biodegradable, adding another reason for potential customers to pick you. In a separate vein, you might opt to start a consultancy that helps businesses or individuals to reduce their plastic waste – much like Anthesis Group and its dedicated plastic specialists. If you’re able to come up with action plans, advise on targets and find sustainable alternatives for clients to use, this could be an idea for you. Alternatively, the more technologically-inclined among us might find success in developing an app that helps users to reduce their plastic waste, perhaps even collaboratively. “Public realisation of reducing plastic waste has only come to the forefront in recent years, and this is certainly down to high-profile documentaries like Blue Planet really highlighting the issue on a global level. “It’s also the issue itself, plastic pollution is having a dramatic visual and physical impact on the planet, it’s damaging marine life and is potentially even in our food chain. “It has also grown at an alarming rate. We only began using plastic around 50 years ago, and now the scale of the issue is dramatic – with around 12 million tonnes of plastic entering the world’s oceans every year and almost 8.3 billion tonnes of plastic waste on the planet, much of which is in landfill. “Plastic pollution is a global problem, and there is a public desire and political will to solve it, so entrepreneurs who come up with a solution will certainly reap the rewards on several levels. “My advice to entrepreneurs is to look at long-term green solutions to issues and to be open and honest about the business or product you are developing. “The consumers’ interest is there, which will drive sales, but they will also scrutinise your green credentials, so businesses need to be able to stand up to that scrutiny and also communicate clearly what they are doing. “Finally, I’d say don’t be afraid to upset the status quo. Take some risks. If you see a green solution, go for it. It will definitely have its ups and downs, so have faith and believe in what you are trying to achieve.